When you bring in your car to Dino’s Auto Collision our owners greet you. We take the time to listen and explain whatever repairs are necessary. 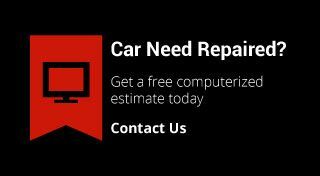 You won’t be shocked by new charges during the repair process, and we provide free touch-ups and courtesy clean-ups for your convenience. 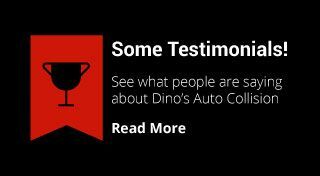 At Dino’s Auto Collision, we’re committed to keeping Guelph a great place to live. That’s why we sponsor local soccer, hockey and baseball teams for kids. We’ve won many Readers’ Choice Awards in the Guelph area since 2005 and are a member of the Better Business Bureau. Since we care about our local ecology, we keep our shop as environmentally friendly as possible. 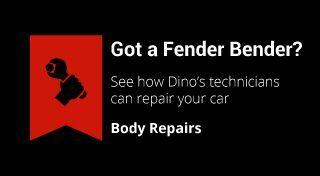 Call Dino’s Auto Collision today for a free computerized estimate!